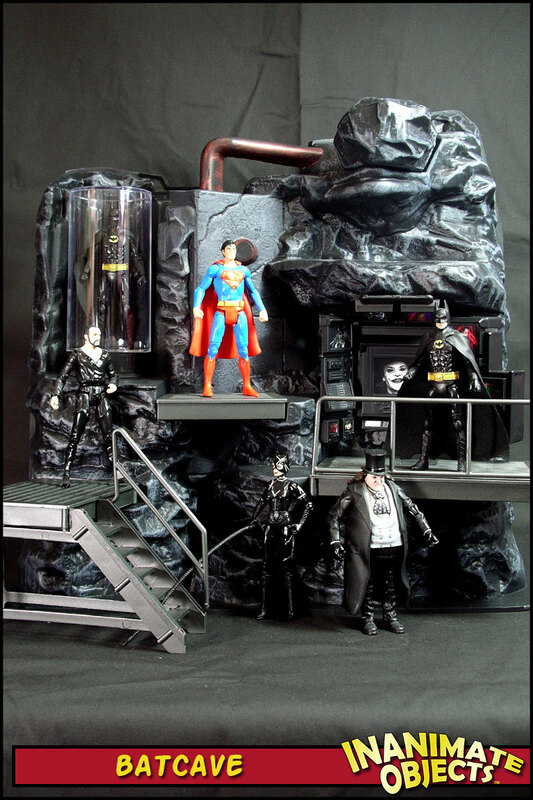 I’ve repainted a lot of ToyBiz Batcave playsets in my time, but never one quite like this. I stumbled across a movie-style repaint by Solitude Is Preferred, and I knew had to make a similar one. I don’t claim mine is anywhere near as nice as Solitude’s, but I’m pleased with the result. By sheer chance, I found an old ToyBiz playset at DFW Vintage Toys, sans parts. Fortunately, I had enough parts leftover from previous Batcave overhauls to pull another set together. 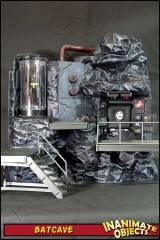 (I’m missing a chair and a stair railing. No big deal.) I opted to upgrade the computer with the Hasbro version, which is much closer to screen-accurate. 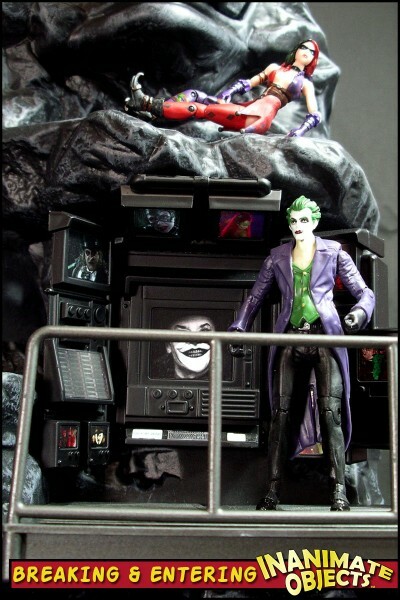 Of course, the computer piece sits a bit low on the ToyBiz cave to be practical, but the lack of chair helps sell the visual. (Thanks to Mark Myers for the assist!) New paint pulls the project together. This time I dry-brushed all that great rock texture. 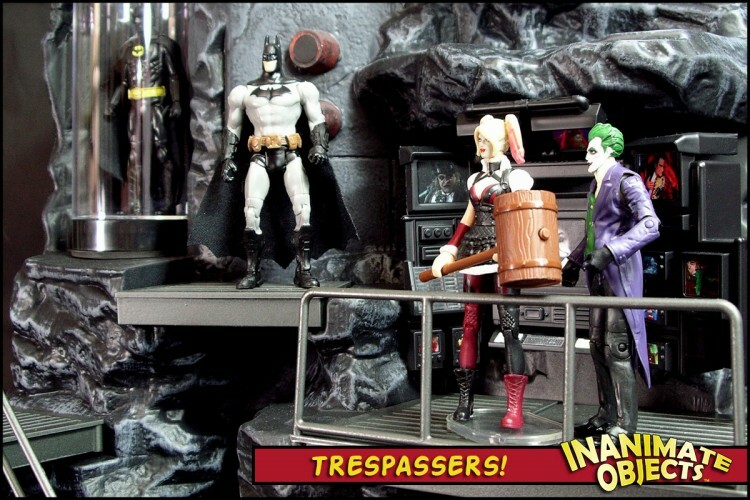 Part of this was driven by the availability of the recent 3.75″ DC movie figures by Mattel. While the quality was iffy on most, it was nice to see some more accurate versions of these characters made. Now I have a place for them to hang out! You can find and download the computer screens for your own playset here. I simply sprayed the whole thing black, and then dry brushed a light grey on top. 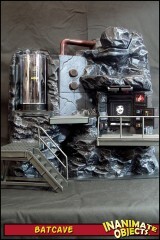 I used a slightly different grey for the cement wall, though it doesn’t really look different. That was it. Nothing fancy! Thanks. It must be the lighting or the black base color beneath, but i’d swear some of those highlights look blue or even purple. (maybe it’s my monitor. yeah, that’s it, that’s the ticket…) Thanks for the reply. Have a great holiday. 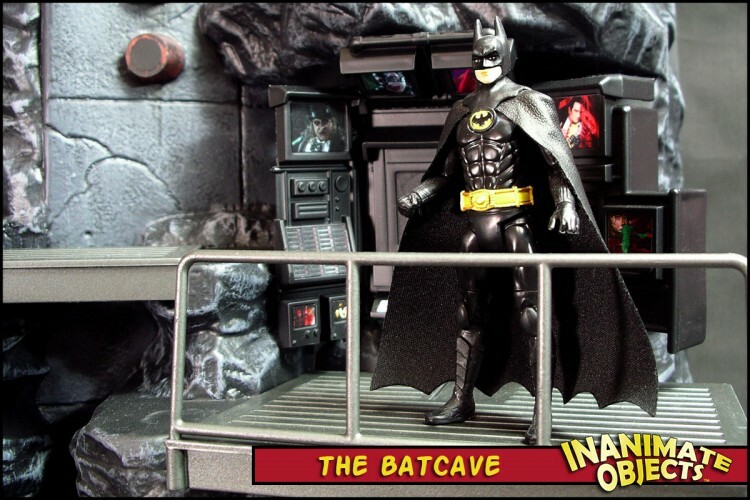 how did you make the bat suit in the case? Oh, it’s super simple. It’s the ’89 Batman Mattel made. I simply cut out the exposed chin. That’s it! 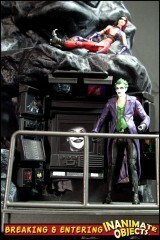 Could you please link me to the case you used for to keep the batsuit? I would if I could. But I don’t remember where I got that. I’ve had it sitting around for almost 20 years, I think. No worries. I figured that one out. Please tell me how you made the surface to keep the cylinder case in place. Thank you! I simply glued a flat piece of styrene from underneath.